Photos by America's Test Kitchen. You can get the basic idea from photo above, but all you need to do is remove the lid, wrap it foil, flip it over, put it back on top and the place vegetables you wish to roast on top of the inverted lid. 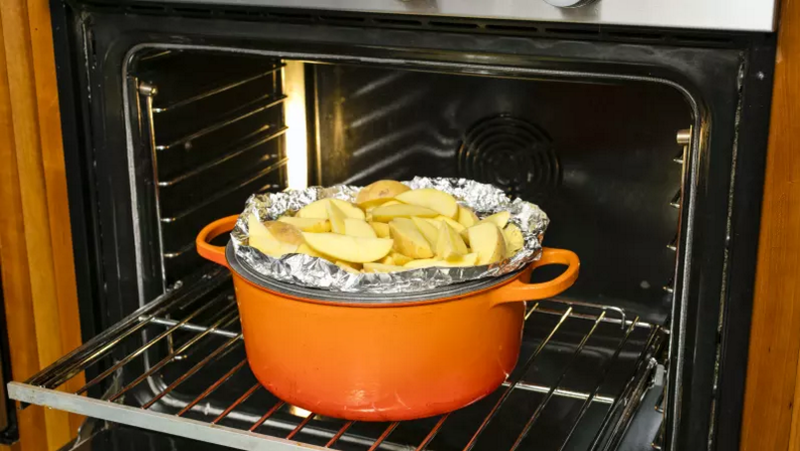 Not only does this save oven space, but now you only have a single dish to wash.